3Dagogo 3 Month Contest-O-Rama Extravaganza!!! We have 10 amazing contests running over the next 3 months! Make sure and check out our CONTEST-O-RAMA EXTRAVAGANZA!!! 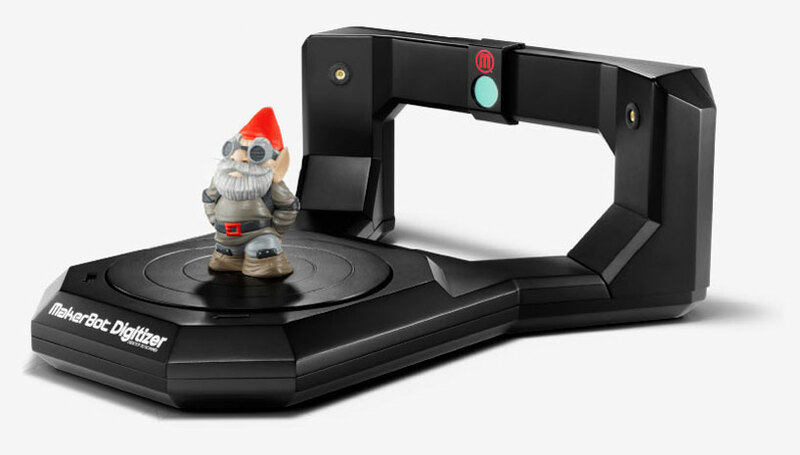 The best 3D printed design for the home between now and Dec 31st wins a MakerBot Digitizer 3D Scanner. In addition, for the month of October, we have three mini contests, each one will have a winner that receives a roll of filament and an “I’m a winner” t-shirt. The three categories are: the best toy car, the best doll accessory, and the best catapult. 3Dagogo is happy to announce that we are LIVE! Yay! It’s been a lot of hard work, but the marketplace is up and running. Check it out: https://www.3dagogo.com. 3Dagogo is a marketplace where designers can put up their PROVEN TO PRINT designs, and home 3D printer users can purchase licenses to print those designs. Our Mission: To make home 3D printing simple for the non-tech savvy consumer, while empowering local 3D artists to make a living off of their craft. Our next step, you ask? We want to showcase the best 3D printable designs on the interweb. For this to happen, we need your designs. Simply request an invite here, and make sure to let us know a little about your 3D printing experience. At 3Dagogo, we believe the artist community must be a large part of the 3D printing revolution, if not a primary driving force. We are creating a site that empowers the artists in the 3D printing community to rise up and show off what they can do. Be part of the revolution with us! Check us out, upload some designs, win some contests, and enjoy these amazing times that we live in! Special thanks to our media sponsors 3DHubs and MakerPlace. Copyright © 2013 3DAGOGO, All rights reserved. What did we get when we combined MakerPlace and its rock star makers along with Westfield Mission Valley’s DIY fest this past month? A DIY masterpiece, that was a filled with creative minds and maker enthusiasts that came out and showed their support. MakerPlace and its members, their family and friends, made a hard hitting impact on the fest as a whole. The success of our amazing participants and members who sold their creations brought an outpour of inventors and curious mall-goers, ready to dive into the unique and inventive products available for purchase. Vendors from MakerPlace displayed unique products at booths that inevitably dominated an entire wing of the Fest and were the obvious highlight of the event. Undeniably it was a great opportunity for MakerPlace and our members to gain a lot of exposure to a broad crowd; creating the perfect environment for selling their wares to anyone with an eye for creativity and a needs for all things DIY. If you missed out on this event, don't worry, there are still more DIY opportunities to be had! Make sure to find us creating a buzz at the MakerPlace pop-up store in the UTC mall located in La Jolla the week after Thanksgiving where we will be exhibiting more self-made products by our members, just in time for the holidays! And be sure to keep your eyes and ears open for another DIY fest in early 2013. We will be holding another “Open House” (a.k.a. the Maker Meet and Greet) for the general public on June 9 and 10 from 10a.m. to 4p.m. This is an opportunity to introduce prospective members to the extensive MakerPlace facility (many of our current members found MakerPlace through our previous open house events) and the many creative projects being developed by our members. We encourage anyone with a project–completed or not– to display, sell and/or explain it during the event. We are hoping for more media coverage, so have your TV face on. Many of the big tools will be periodically demoed throughout the day. Members are welcome to work regular hours (9a.m. - 9p.m.) but, during the open house, the use of power tools will be restricted and be used for demonstrations. We appreciate your understanding and patience. Upon request, we will offer extended hours those days for anyone who absolutely, positively needs to get some work done … just contact the front desk, Brian, Michael or Steve. Refreshments will be available during the Open House. This includes free beverages for all our members and, as a small token of our appreciation, free lunch for all Pioneers who flash their badges and for those individuals who conduct the tool demonstrations. Lunch will be available from the renowned MIHO Gastrotruck. (2) If a member brings a buddy and the buddy signs up for a month or more, both will get a $50 credit AND both get lunch. We appreciate any and all referrals. (3) If a member upgrades to a Pioneer or Volume12 level, in addition to a great deal, we will also throw in a $50 credit as well as a free lunch. We appreciate the confidence and support of all our members and we hope to close admittance to the Pioneer program at this event. MakerPlace member and rocket scientist Belle Holder launched Play Doh, her model rocket, at the Plaster City Proving Grounds . Upon command, Play Doh slipped the surly bonds of Earth and screamed into the azure sky. At 2,000 feet altitude, the nosecone parachute deployed as planned and returned the package gently to the ground unharmed. For this successful launch, she was promoted to Junior Level 1 Rocket Engineer. Congratulations are in order for great work skillfully executed. MakerPlace partner FabLab San Diego was awarded an “Editor’s Choice” award for their exhibit in the “The Future of Education” area at the Bay Area Maker Faire last month. The MakerPlace staff visited their area and it was packed with enthusiastic young students interacting with the many educational exhibits. Well Done! mechanical octopus in the MakerFaire ShopBot booth. Unfortunately, the octpuses’ head exploded during transport to the fair but no one seemed to notice in that the arms still waved and was fascinating to watch. If any of you have experience with exploding heads, please offer your insight to Chris. Our thanks to all the MakerPlace members who turned out at 5:30am to meet the KUSI News Team. We know the publicity will be good for us and we hope it benefits your companies as well. If you didn’t catch us on TV we’ve shared links for the segments on our Facebook page, so be sure and check it out. By popular request, the front desk is offering MakerPlace Gift Certificates in any amount. They are the perfect gift for Father’s Day, important teachers, new graduates, students looking for a productive summer or anyone interested in learning a new skill such as embroidery, quilting, welding, arduino or 3D modeling. reward and bragging rights. See instructables.com for submission details. This challenge is open to MakerPlace staff too, so get it into gear! Pat Downing, an award winning artist and MakerPlace Member, is going to deliver a unique course entitled “Introduction to BandSaw Boxes.” This two-part course will give you the basic techniques to make unique, beautiful and functional boxes using just a bandsaw and a sander. During the first part of the course, Pat demonstrates a variety of techniques and results. The second part makes Pat available for one-on-one consultation and resolution of issues. During the two parts, students have the opportunity to select unique materials and create a design. Due to the need to practice between class sessions this course is open to members only unless they have a bandsaw at home. Rick Schnieder will be delivering a course teaching the safe use of an oxy-acetylene welding torch. Major techniques of welding, cutting and brazing will be demonstrated then performed by students. Students will become proficient in the safe use of the welding apparatus and become knowledgeable of the various techniques available using a welding torch. Methods to be explored will be oxy-acetylene welding of mild steel, using the cutting torch to cut shapes from mild steel and brazing mild steel and copper. During a follow-up advanced course, Rick will teach the use of the torch in artistic efforts. Additionally, FabLab San Diego has rescheduled their Printed Circuit Board (PCB) milling class for the June 23. If you need a fast, cheap way to fabricate single or double sided PCBs using the K2 precision CNC mill, sign up while slots are available. Bring your own circuit on EagleCad or Fritzing or use our Real Bare Bones Board (RBBB) Arduino template (see http://shop.moderndevice.com/products/rbbb-kit for a public domain schematic). Thanks agin for all the support and we look forward to seeing you around. We are extremely excited and thankful for all the wonderful press and coverage we have received since our opening. Tuesday, April 3 we were blessed with an amazing article on the cover of the UT business section. The response has been great and we have been receiving new members all morning long.